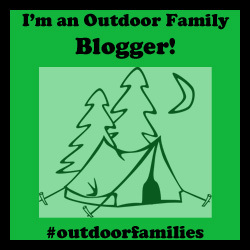 Let the kids play… Outdoors! Outdoor play is not something that should be optional for young children. Children need to have opportunities that allow their curiosity to take them on adventures as they create and explore their outdoor surroundings. The benefits of outdoor play have been shown by researchers to be important for child development and in connecting children with their natural environment¹. It has been proven by researchers to be necessary for child development and not only their physical development. Play is also important for brain development, social development and emotional development¹. Beyond child development, outdoor play connects children with the natural environment which in turn helps them develop an appreciation for the natural world and helps kids sleep better! Play outside, develop , love nature and sleep well! Sounds like a win to me! Check out Get Outside and Play week to win prizes while encouraging outdoor play with your little ones. Runs across Alberta from May 27-June 3rd, 2017. Outdoor play gives children the opportunity to develop their physical literacy. That means that kids get better are jumping, skipping, throwing and climbing while playing outdoors. Learning and mastering these skills builds confidence and encourages children to be healthy as they grow older. Physical development does not only improve movement but it also increases bone density and overall strength which reduces the severity of injury and healing time late in life¹. Outdoor play allows children the opportunity to work together, take turns , problem solve and sort out social norms with their peers. ¹ Playing outdoors without structure helps children work together to play a game or activity that they have decided on. Take for instance when my children aged 1 and 3 head into the backyard to play without me. They immediately get busy engaging in some sort of creative play. They have learnt how to solve arguments and work together when creating a game. According to the Centers for Disease Control and Prevention an estimated 50-70 million US adults have sleep or wakefulness disorder(5). Spending time outdoors helps children sleep better night by increasing natural light to stay more awake during the day, helps relieve stress, and creates soothing endorphins that can help with the production of melatonin. (6) Melatonin is a hormone in the body that helps you sleep! It is time to kick your little one outside and let them play. Check out these other great articles on play!